Discussion in 'Mini Racing' started by gpstar748, Sep 1, 2018. BucciMoto does not have Ohlins. They run Mupo forks/fork internals, not sure about the shock. Here’s the basic gist...the BM is a fine bike but they have pretty much all but disappeared in the Italian market as well as Europe in general. They have a decent mini supermoto offering from what I’ve seen but still have no where near the presence as Ohvale. The price difference is negotiable when factoring in extras that we throw in plus we (Ohvale USA) and Ohvale Italy, actually support the sport and are actively building racing series and classes for youth racers. Thank you for the honest answer. I will be in the market for a used 4 speed 110 this year. If guys start getting rid of them keep me in mind. Thanks. Is there any used ones for sale yet you know of? None yet. Most people that have them just got them except for a handful last Fall/Winter. Sent you an email, thanks. 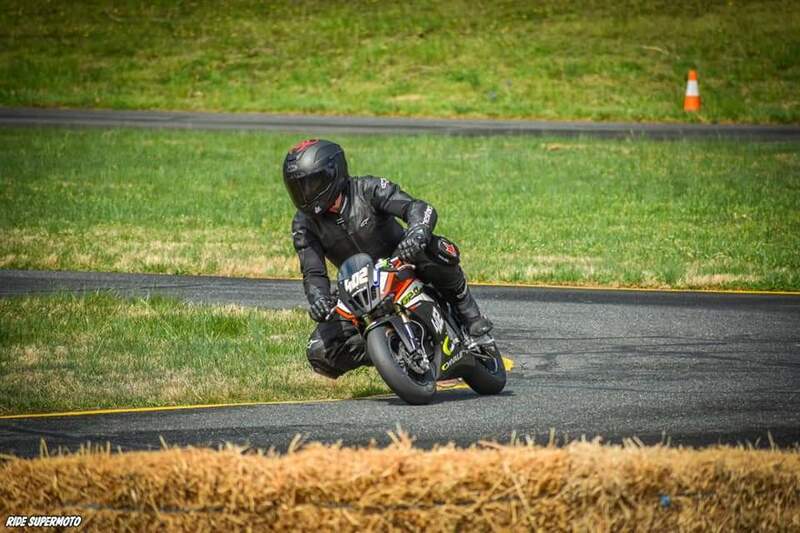 So I took the plunge, and picked up an Ohvale 160 (yes, the 190 is insane, but I wanted to race 2 classes, and this frame I can swap out smaller motor for kids) this winter and finally had a chance to get it on the track. No Ohlins or anything yet, just did the fork preload adjuster kit so I can stiffen it up a bit. It looks badass, and all the billet parts are cool. It truly looks (and rides) like a purpose built racebike. From everything I can see, build quality is very good (as it should be for the $$$). The thing is telepathic, I had to completely recalibrate how I ride. Due to the light weight, small tires, etc. if you even think about turning, you turn. Essentially had to relearn the track as the lines are so much different than a CRF. Even the 160 feels fast, pulls hard. Sounds pretty good as well. The timing system wasn't up, so not sure where I sit there. It was cool and damp in the morning, I was still feeling the bike out, and breaking in motor, so never really pushed too hard. I feel 100% more comfortable on it vs a dirtbike so I "hope" for a relatively significant drop in times once I'm rolling and get it geared properly and adjusted. Obviously dropping $6k on this type of bike isn't a smart choice, but at least it seems to have the parts and quality to at least somewhat justify the cost. There are some growing pains dealing with a new company. Once Brandon gets things rolling a bit better, I expect this to improve. Brandon has done a great job taking care of what he can. It is cramped, but what do you expect from a mini? I honestly think it feels about the same as a Duc 748 that I rode years ago. It's not as bad as you think, and once I get my body position figured out, I think it will work just fine. I'm 6'1" and 210 lbs, so much bigger than all the pro racers on them, but this gives you and idea. Here is it next to the v4 for a reference. I'll get a true side by side with fairings once I get the v4 put back together. 418, TLR67, Laz and 2 others like this. for some reason I thought they had 12" wheels. How cramped would you feel after riding a 30-45 min stint @DeboRSV ? I believe they did 10" to allow it to run in scooter races in Europe where 10s are max size. The thing is weightless though, so you really don't have any issue there. I think if you could get smooth on it, would be an easy ride. I'd definitely try it! Yea but does it need it? For a $6,000 mini, the last thing I want to do is drop another 2 grand on suspension. At this point, probably not. The shock feels plenty stiff, and the forks feel ok. The preload adjusters are a requirement for adults riding, and probably a good investment at any level (they were very cheap). Until either end starts giving me trouble, I'm going to ride as-is. One reason I may get them at some point, is to slowly build a bike for my kids, and be able to spread the costs out over a couple years. If I end up with 2-3 of them, it's going to get $$ in a hurry. I'm really interested in one of these for my son who's currently riding an NSR50. Appreciate you sharing your feedback Debo. How easy it to change gearing, do maintenance (i.e. oil change) and how was general setup out of the box? Did you get any type of repair or maintenance guide? It was very easy to get up and going. Put gas, oil, and air in tires...done. 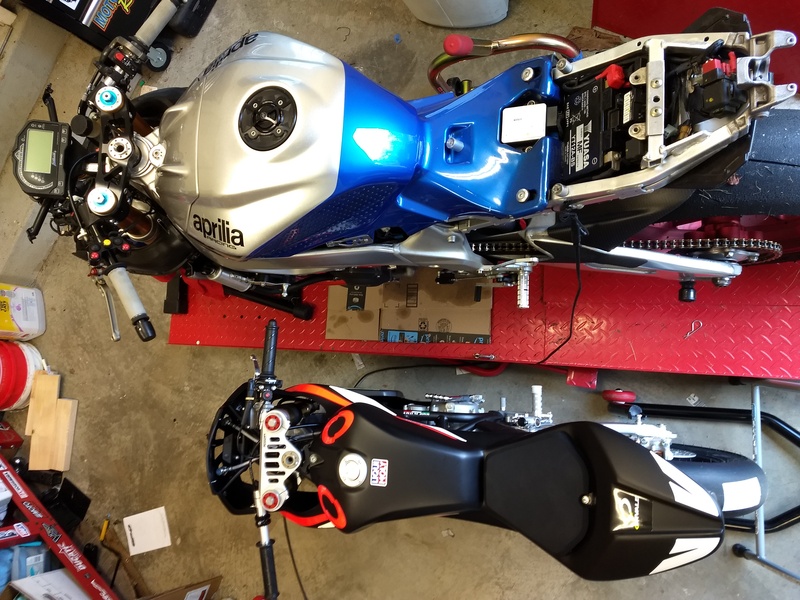 Changing gearing is no different than any other sport bike, much easier than the 110's. There was an initial get started guide, but nothing as far as an actual manual. Not that you would really need it. Servicing it looks to be very straightforward, and everything is easy to get to. It's the perfect size for my kids 10/12. Good thing they haven't learned how to use clutch, or I'd likely be kicked off it.